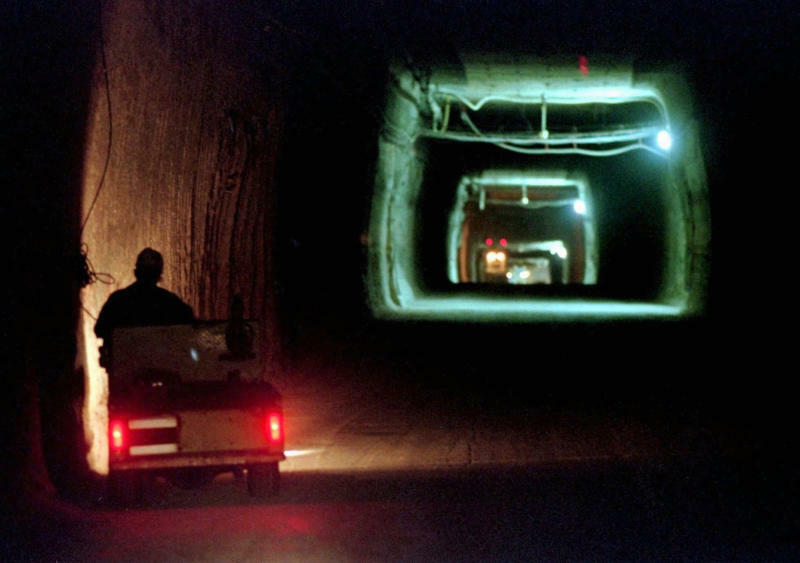 ALBUQUERQUE, N.M. (AP) -- In a remote stretch of New Mexico desert, the U.S. government put in motion an experiment aimed at proving to the world that radioactive waste could be safely disposed of deep underground, rendering it less of a threat to the environment. A 2014 radiation leak forced an expensive, nearly three-year closure, delayed the federal government's cleanup program and prompted policy changes at national laboratories and defense-related sites across the U.S. More recently, the U.S. Department of Energy said it would investigate reports that workers may have been exposed last year to hazardous chemicals. Still, supporters consider the repository a success, saying it provides a viable option for dealing with a multibillion-dollar mess that stretches from a decommissioned nuclear weapons production site in Washington state to one of the nation's top nuclear research labs, in Idaho, and locations as far east as South Carolina. If it weren't for the Waste Isolation Pilot Plant, many containers of plutonium-contaminated waste would be outside, exposed to the weather and susceptible to natural disasters, said J.R. Stroble, head of business operations at the Department of Energy's Carlsbad Field Office, which oversees the contractor that operates the repository. "The whole purpose of WIPP is to isolate this long-lived radioactive, hazardous waste from the accessible environment, from people and the things people need in order to live life on Earth," he told The Associated Press. "It's 80 percent through its lifetime, and it has disposed of less than 40 percent of the waste and has cost more than twice as much as it was supposed to," said Don Hancock with the watchdog group Southwest Research and Information Center. "How great of a success is that?" "It was exciting to be working on what was then going to be the world's first deep-geologic repository for that class of waste," said Peter Swift, a senior scientist at Sandia National Laboratories. "Nothing that radioactive had been put that deep underground before. And that's still true 20 years later." With some areas permanently sealed off due to contamination, more mining will have to be done to expand capacity. The federal government also is spending more than a half-billion dollars to install a new ventilation system, sink more shafts and make other upgrades aimed at returning to "normal business." But it would take an act of Congress to expand the repository's mission, and getting consent from New Mexico's delegates would be a tall order since the federal government still has no long-term plan for dealing with such waste. Nevada's proposed Yucca Mountain project is mothballed, and no other permanent disposal proposals are on the table. "For New Mexico, we've done our share of storing waste, and we've done it safely and effectively," Richardson said. "It's provided jobs, but I just think the future of the state is not nuclear." Southeastern New Mexico's ties to nuclear run deep and will continue for at least the next 30 years under the plans being charted now. "We need to decide what our capacities are actually going to be — how much nuclear power waste are we going to create, how much nuclear weapons waste are we going to create — so that we can then put our arms around the problem," Hancock said.